Gretchen Ehle joined Meridian in 2009 with over 10 years of experience in international development and exchanges. Her duties include strategic planning, GlobalConnect's business development strategy and establishing a transparent cross departmental proposal development and award management process, in addition to divisional staff development and financial operations. She has proposed and implemented a wide variety of programs, including professional exchange programs in fields such as higher education, food security, leadership development and the environment. Gretchen previously worked for USAID within the Bureau for Global Health. 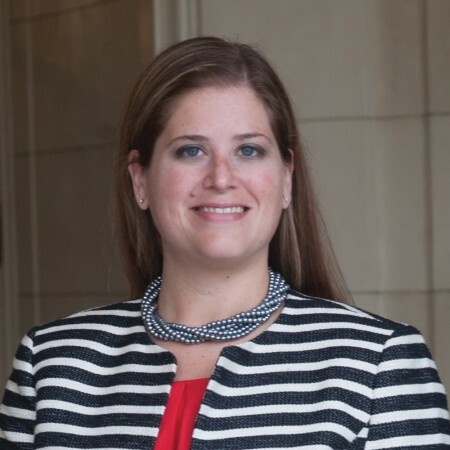 Gretchen is a PhD candidate in Public Policy at George Mason University from which she also received an MA in International Commerce and Policy and holds a BA in International Affairs from The George Washington University’s Elliott School of International Affairs. She speaks Spanish and has a certificate in grants management.